Thailand has a rich history that dates back to the prehistoric times and it is this factor that attracts people from all over the world to visit the country. Proof of this rich history are the historical sites spread around this popular Asian nation. During the Second World War when the Japanese conquered Southeast Asia, Thailand was not spared. 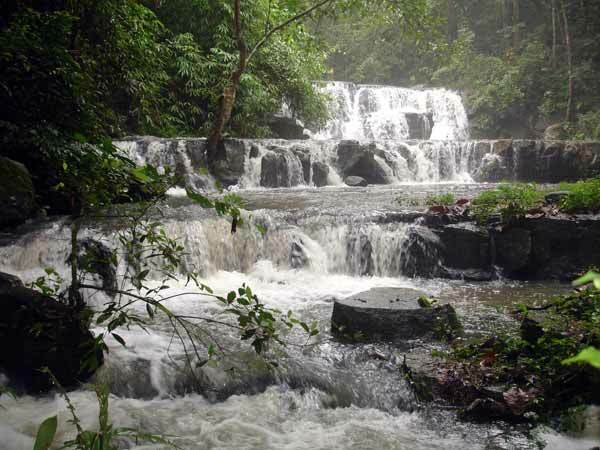 To get to know this particular event on a personal level, one needs to visit a number of historical sites such as those in the famous Kanchanaburi Province. The Kanchanaburi province is most known for the so-called “death railway,” the site where thousands of laborers of varied nationalities (Dutch, Australians, Americans and British) were killed. At this site (Saeng Chu) is the Kanchanaburi War Cemetery or Don Rak where nearly 7,000 Allied prisoners of World War II died. It is open daily from 8:30 a.m. to 6:00 p.m. 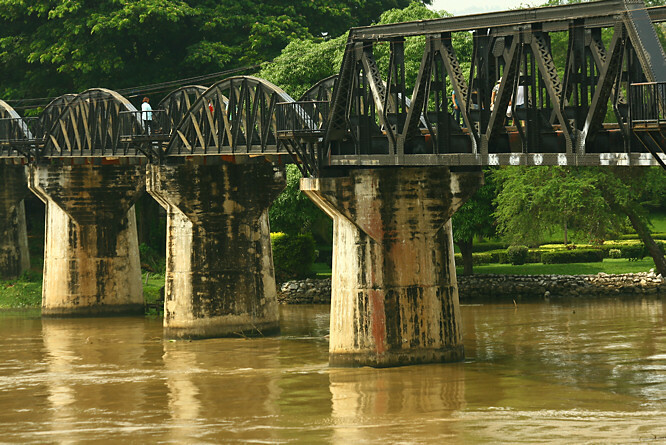 The famous bridge over the River Kwai is also in the Kanchanaburi province. Featured in the best selling book and movie and now considered a symbol of peace, the bridge forms part of the Death Railway and spans over the KwaiYai River. It was constructed by World War II prisoners and supervised by the Japanese Army. The Death Railway stretching 415 kilometers was put up to link Thailand and Myanmar (then known as Burma) to secure supplies for the Japanese soldiers. 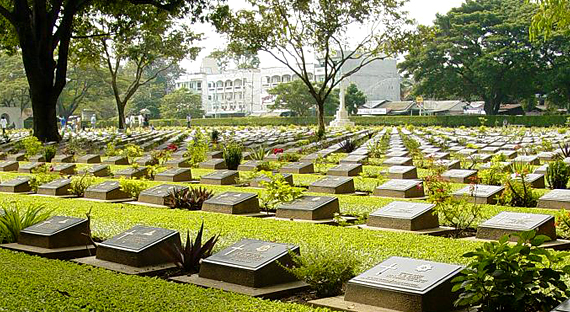 The site where the Chong Kai war cemetery is situated used to be the prisoners of war camp. Located 2 kilomters south of town on the bank of the KwaiNoi River, it was here were 1,740 prisoners died. This is the World War II Memorial of the Japanese Army located in Khao Sam Lan National Park in Saraburi near the southern part of Wat Phra Phuttachai. Bomb craters created by the Japanese forces during the war can be found here. During the war, the place was used as a military base and prison for captives. It was here that the soldiers watched the movements of their opponents using binoculars. Other structures built here include the commanding tunnel, the commanding room, trenches, a treasure room and the bunker lines. Today, the park covers four districts and stretches 44 kilometers with small and large mountains as well as a plain valley. It also has guest houses that can accommodate tourists who would like to stay the night or for a few days. Situated on the Phetchabun-Taphan Hin route, this road was built during the Second World War as a way to reach Phetchabun. While still in its construction stage, an unfortunate event occurred as many workers died due to malaria. Japan’s presence in Thailand was inevitable during the war as the Japanese Imperial Army at that time was seeking a route that would get them nearer to Malaya and Burma. Thailand was there at the right time. It was also during this war that the Nanking massacre 1937 in China occurred. The mass killings involved hundreds of thousands of Chinese and China has been blaming the Japanese Imperial Army for this atrocity. Japan continues to strongly defend its stand that it did not cause the Nanking massacre. Japanese supporters have taken their campaign to the internet in hopes of clarifying the real scenario.